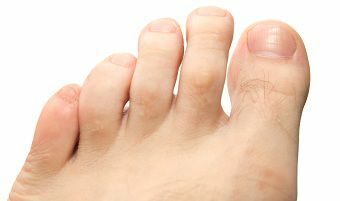 A toe that is bent in a downward direction is often referred to as a hammer toe. Depending on the joint that is bent, these can sometimes also be called claw toes or mallet toes. This is usually a result of uncorrected foot imbalances and is aggravated by certain footwear.